Welcome and thank you for visiting my website. 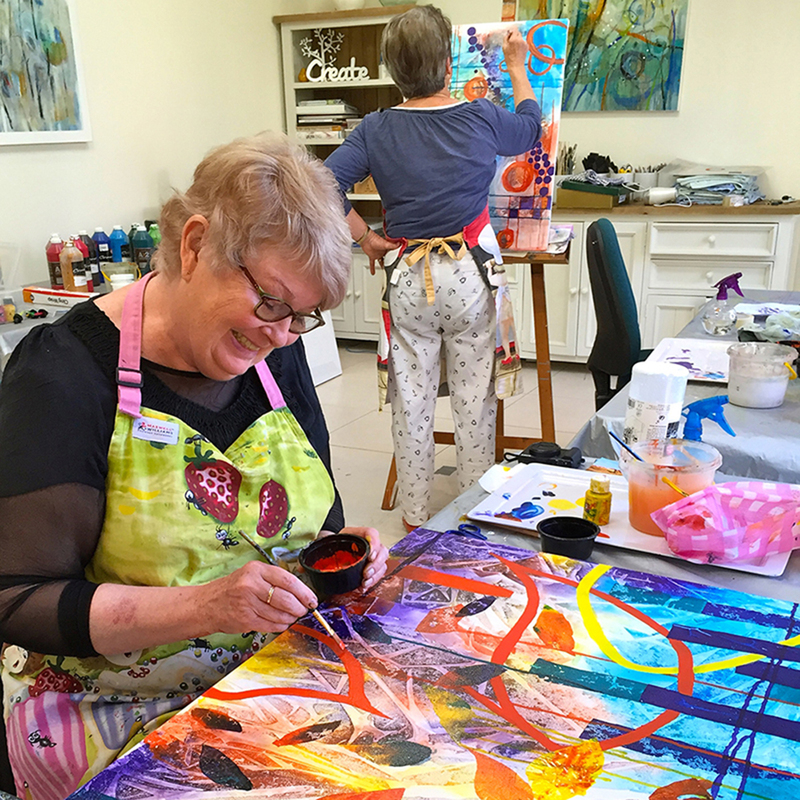 Creating art and teaching others to tap into their creative spirit has been my passion for 40 years. My paintings are all about colour + energy. I'd love to share my art journey with you. Yes you can...it's easy! Book a private lesson or register for one of my workshops offered during 2019. If you live outside the area or overseas then perhaps consider my new 'Imaginations' E-Course which is being launched in 2019. I invite you to view my online gallery to see my large variety of original paintings and prints for the home or corporate environment. You can purchase from my shop and your beautiful new artwork will be sent door to door within 7 days. A fun day of filming with Master Artist and CEO – Graeme Stevenson and Videographer – Sophia Stacey from the very popular TV series ‘Put Some Colour in Your Life’. Watch my 25 minute painting demonstration video by clicking on the arrow below.